You’ve got a lot of experience helping brands, including other charities, leverage their marketing efforts! Tell us a bit about yourself and your professional background. After graduating with a degree in Political Science, I got my first job in a completely unrelated field (marketing and advertising) for the Canadian Institute of Mining, Metallurgy and Petroleum, in Account Management and Business Development. I then moved into branding and package design – accepting a role at DW+Partners, whose clients included Loblaw, (President’s Choice, No Name), Shoppers Drug Mart, Walmart, Coca-Cola, Amsterdam Brewery & Metro. DW+P is a St. Joseph Communications (SJC) company – a leading Canadian retail communications firm with well-established media, print and production divisions. My role at DW+P was expanded across SJC at an enterprise level, as an Account Manager and in New Business Development. During this time, I completed my Communications and Advertising Accredited Professional designation, a two year ICA program in Account Planning and Creative Strategy. I accepted a role at Ogilvy & Mather as a Senior Account Executive, where I managed the Performance Marketing arm of IBM Canada. I also worked on other great accounts like Cadbury (Mondelez) and Centennial College. After a few years at Ogilvy as an Account Supervisor, I returned to St. Joseph Communications as an Account Director and Strategic Lead on Serviced Accounts, working with Loblaw, Bell, Subaru, Canadian Tire, Kraft-Heinz, and Sunrise Soya Foods. Last year, I was approached by Inbox Marketer, Canada’s leading email marketing agency, where I am now their Director, Business Development. So I’ve worked in brand and creative strategy, campaign planning, development and execution, production, and now I’m in marketing technology (the owned media space) – where we help clients make the most of their extensive consumer data. In the charitable sector, I work with Artbound as the Director, Brand Strategy. I’ve been working with them for about five years. I really enjoy helping non-profit organizations, like Artbound, distill and craft their story – helping to articulate their brand and positioning. Why young adult mental health? What compelled you to get involved with Stella’s Place? I was introduced to Stella’s Place through a mutual connection, Dr. Bjug Borgundvaag (of Mt. Sinai), who was spearheading a program in its early stages called Pathways to Peers, which gives Stella’s Place Peer Supporters a role within Mount Sinai’s emergency room. Judy Wells, a well-known Toronto businesswoman and philanthropist approached me to produce a video about this great program. While working on this project, I got a chance to meet Donna Green, the Founder of Stella’s Place, and Cath Dyer, Stella’s Place Director of Development. Mental health is an issue that I care a lot about, and after meeting with Donna, Cath, Bjug and some other key influencers in the program, I decided I wanted to get more involved. 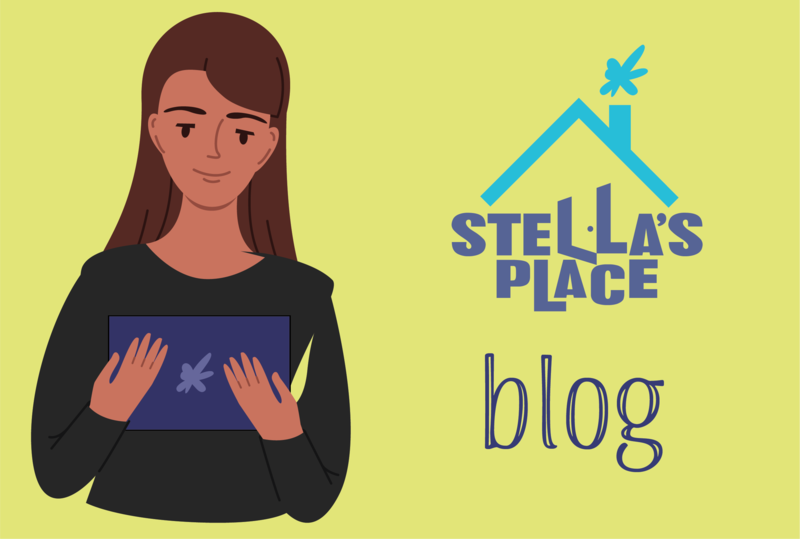 What are some of the ways you provide expertise to Stella’s Place? I’ve been offering strategic support in communications planning, creative development, and customer relationship management. Currently, I’m helping to resource for a 2019 campaign. When most people think about branding and marketing, charities are not the first that come to mind. Why is it important for a charity like Stella’s Place to have a strong brand? When most people think of branding, I guess you’re right – they often think of what leading businesses are doing, but as someone who works in marketing and advertising, I can say the charity space gets a fair amount of attention from the major agencies. Of tremendous value are the stories that already exist within this category. Many agencies will pick up pro-bono clients in the non-for-profit space in the hopes of entering the work for industry awards. Some charities are doing such amazing work that the exercise is mainly in distilling the story and positioning the brand in the mind of the consumer. BUT, the stories are there and plentiful. I’ve heard Creative Directors say it’s almost like cheating. What I mean by that is that the stories often already exist, it’s a matter of how an agency distills, crafts and promotes the story; so we have a bit of a head start, especially when you compare this to the work required to develop a creative strategy intended to sell soap or dental floss. A lot of my favourite campaigns are from this world. 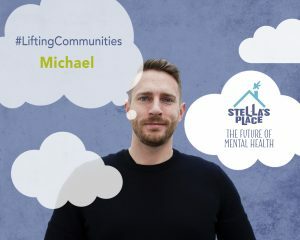 Look at Bell Let’s Talk for example – they’re doing a great job at changing the conversation around mental health in Canada and adopting mental health as an integral part of their strategy in corporate social responsibility (CSR). For charities, it really becomes about share of wallet. You have to sell the category, you have to sell why you’re different within that category, and then you have to do it all within half a second. If you don’t, you risk getting lost in the seemingly infinite number of causes that one can support, and everyone has a finite amount of income, time and attention. What is one ‘leave-behind’ for our community regarding marketing for nonprofits? You can be doing all the good in the world, but if no one knows about it, you’re not raising money, you’re not raising awareness, you’re really not getting the most from all the amazing work you’ve done to get to where you are. You can end up leaving a lot of your potential on the table. Thank you so much for your involvement, Michael. We feel very lucky to benefit from your expertise and support. Currently, Stella’s Place does not have a formal volunteer program. We do, however, accept volunteers with specialized skills to support our operations on an as-need basis. Keep an eye out on our Careers Page for future opportunities.